We teach through the eyes, heart, and soul of our Kupuna. We are passionate about education and culture. We are honored to train teachers. We empower children to be resilient and responsible. We recruit and train emerging leaders. We inspire good stewardship by doing. We are humbled to serve. We thrive on the opportunities to partner. We are the Pacific American Foundation. A Native Hawai’ian Organization, recognized by Hawai’i Governors since inception. As we embark on our 2019 service year, I am thankful for the challenges, opportunities, blessings, and accomplishments of the many that make up our ‘Ohana. We try always to reflect the wisdom of our ancestors, and be inspired to seek positive ways of moving forward while being mindful of our history and Kuleana (responsibility). The restoration of Waikalua Loko in 1995 has allowed us to build new bridges of opportunity for learning that foster our rich culture and embrace the best of the 21st century. Our beloved loko I’a has since become a “piko” for our programs, partnerships and innovations for Hawaii. 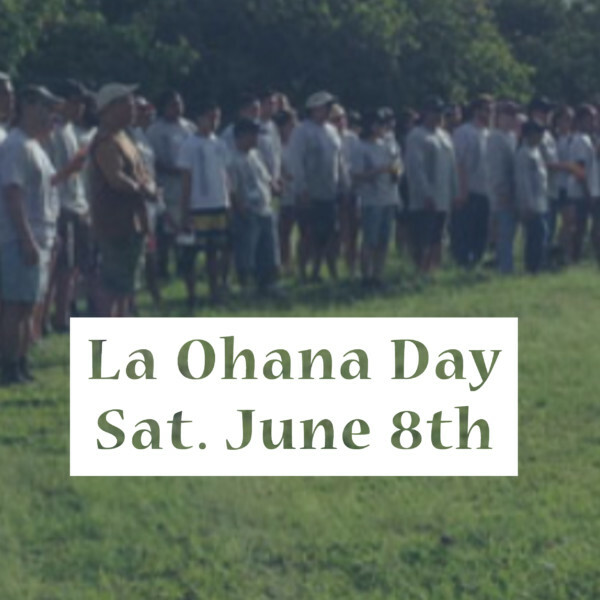 O ke kahua mamua, mahope ke kukulu; the foundation first and then the building! Mahalo for your continued support. Please consider joining us as we continue towards a future that meets the need of our community one heart, one mind, and one soul at a time!